Can you imagine going to a hospital where there were no facilities to wash your hands? Can you imagine that for the doctor as well? Back in the mid 1800’s that was the case. Even a broken leg in those days would often mean infection, amputation, and a fifty percent chance of death. We take for granted that our medical staffs have sterilized equipment and their hands between patients. So much so that it doesn’t often occur to me that they might not. Yet before Joseph Lister’s discovery, it would happen. People believed infections were airborne without consideration of germs. 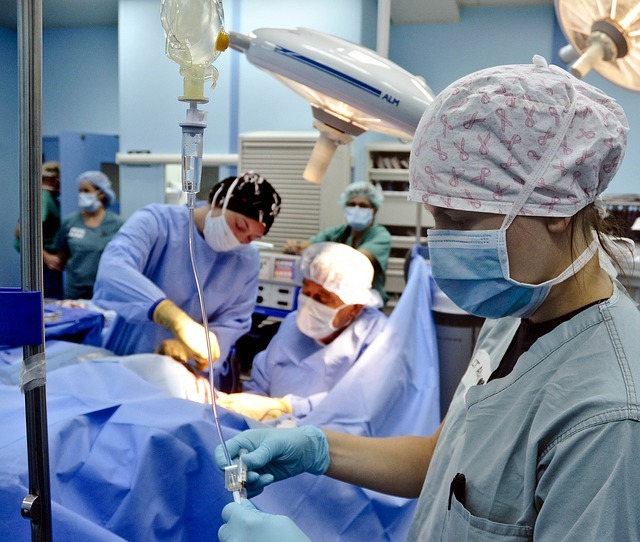 If medical supplies weren’t sterilized, if an injured person’s wound was not cleaned and disinfected, most did not realize that would contribute to a worsening condition. Apparently some doctors thought the more blood on their gowns meant the better they were at their jobs! Therefore on March 16th, in 1867, when Joseph Lister first published an article regarding antiseptics, it must have been an incredible announcement. Enough so that we should still be extremely grateful for it today. Enough so that he is called the father of modern surgery. Carbolic acid, made from coal tar, was the early disinfectant. A scientist that the acid was first used after seeing how creosote stopped wood from rotting. Lister, cleverly decided to see how effective it might be used other ways. The link from the rotting wood to wounds was provided by Louis Pasteur. Mr. Pasteur found that food spoilage was caused by micro organisms, and offered suggestions to eliminate the organisms. Joseph Lister then decided to see how it applied to wounds. He quickly found that wiping the wound with carbolic acid stopped infection and enabled wounds to heal well and quickly. It greatly reduced the chance of gangrene. He also taught medical staff the importance of using clean gloves, and cleaning their hands with a carbolic solution. Even with his knowledge and success, those in the medical field weren’t quick to adopt his suggestions. Hopefully in hindsight they regretted waiting. Not long ago I read an excellent book, The Demon Under the Microscope, by Thomas Hager, that showed other remarkable results from sterilizing equipment and cleansing wounds. In it he tells how back in the first World War, as many soldiers would die from infection post treatment, as from the injury itself. The statistics were staggering. You can read more about the book here in a review. While the book deals more with antibiotics, it includes details on sterilizing equipment too. It’s a fascinating, easy to read factual story. The discoveries made by these men reduced infection, gangrene and death by hundreds of thousands. It changed medical treatment profoundly. We are still thankful to Joseph Lister for that today, some one hundred and fifty years later. Great history lesson! Although there are certainly plenty of issues with big pharma, it is amazing how far medicine has advanced in the last 150 or even 50 years.